The California Manroot, Marah fabaceus, is a fascinating plant we find here in the Sierra foothills. 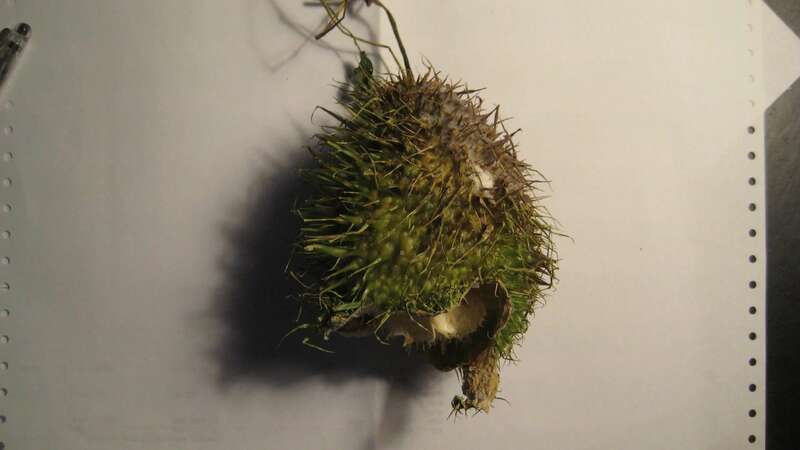 A native vine, it produces a distinctive seed pod, covered in spines. Below are photos of the fruit, showing the seeds it produces. 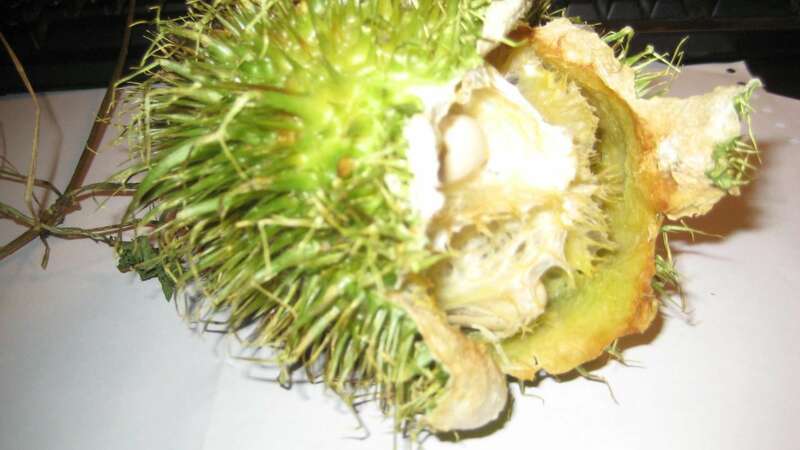 It appears to me that the fruit bursts open due to gas pressure inside. 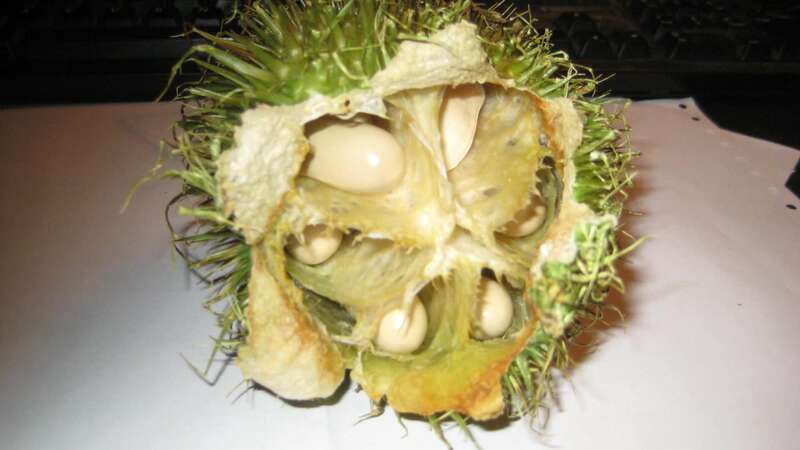 I failed to witness the actual opening, but shortly afterwards, I heard the seed pod release gas. This pod produced 17 seeds. Spiny fruit of California Manroot, Marah fabaceus, after the seed pod has burst open. 16 April 2016. Sonora California. 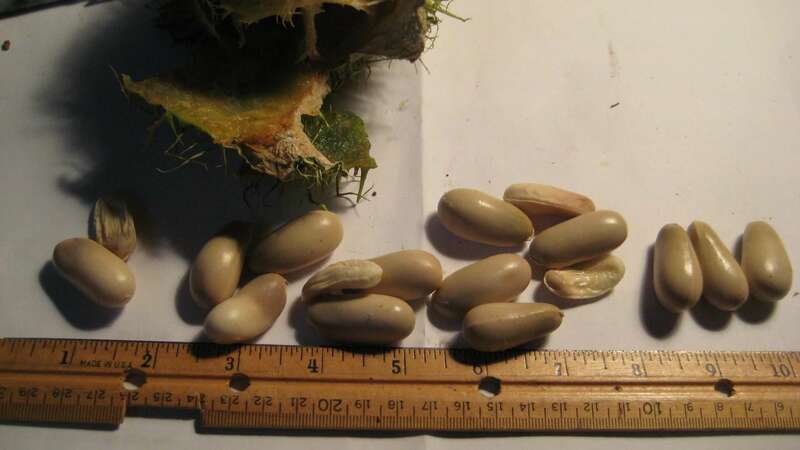 The seeds, 17 total, from one spiny fruit of the California Manroot, Marah fabaceus. 16 April 2016. Sonora California. 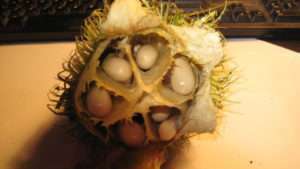 Close-up view of seeds within the spiny fruit of California Manroot, Marah fabaceus, after the seed pod had burst open. 16 April 2016. Sonora California. Side view of spiny fruit of California Manroot, Marah fabaceus, after the seed pod has burst open. 16 April 2016. Sonora California. View of seeds within the spiny fruit of California Manroot, Marah fabaceus, after the seed pod has burst open. 16 April 2016. Sonora California.